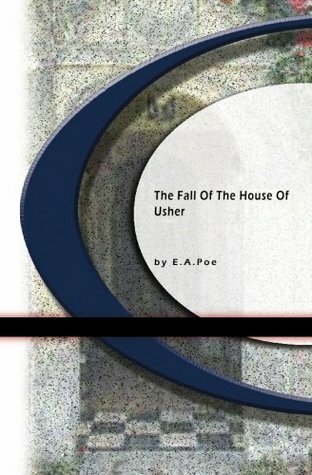 Why Read: I’ve read The Fall Of the House of Usher before, but never with a book review in mind, nor anything other than a hearty love for Edgar Allan Poe in mind. It was a great vacation read that went by in a heartbeat, and had everything to do with a love of all things creepy and disturbing. Review: There are books you enjoy because they have great characters, and there are others that have plots that keep the pages turning. This Poe classic struggles to compete on a purely even basis with those traits, as it is only 28 pages. However, I’m glad to say I reread the book with an eye towards finding a better understanding about what made this book so great. It was the writing style. Admittedly, there isn’t much character development, but how much can you do in such a short amount of pages? The unnamed narrator perhaps develops a sense of fear while his close friend develops a sense of madness, but really the only character that truly undergoes a change is the sister, Madeline. Though I’m certain anyone reading this blog has read the Fall Of the House of Usher before, I won’t spoil it. Readers of before, we all know the changes that poor Madeline underwent. The plot was exciting – it’s short and sweet – to the point. I remember smiling the first time I read the book as the narrator hears the strange sounds coming from below, and the monstrosity that awaits the narrator and his friend. And once again, I found myself nervously biting my nails, which we all know is the mark of a great book. I can only attribute how much I enjoyed this book a second time through to the fantastic and admirable way it was written. Surely Edgar Allan Poe was one of the great writers of his generation – and nowhere is that more evident than this great book.